Roofs, like most things, don’t last forever. Sooner or later, they need to be replaced. If you wait too long to replace your roof, serious damage can accrue, which can be very expensive to fix. Of course, replacing your roof can be a sizable investment as well. That’s why we recommend doing your research and consulting with a professional in your area. If you’re looking to make the investment, and you want something that is going to be not only aesthetically pleasing but also last a very long time… consider Stone-Coated Steel. Steel roofs typically last a very long time, anywhere from 40-70 years on average, and they usually come with a 50-year warranty. Steel effectively seals out moisture to prevent problems like mold, mildew, and rot. 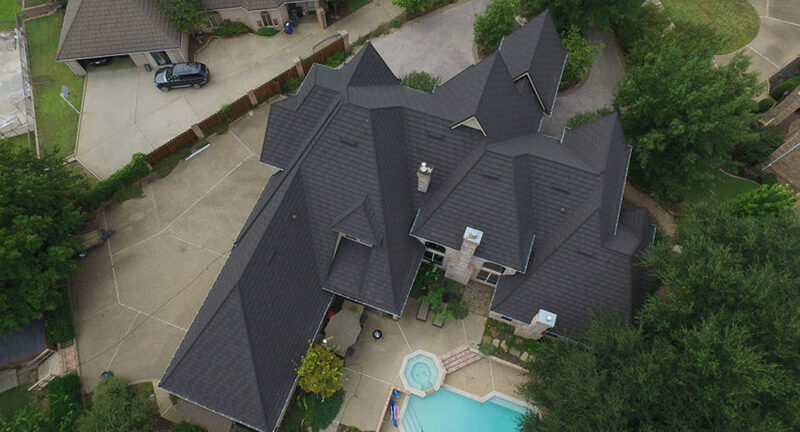 Steel roofing can be designed to look like other materials that are considered more traditional or aesthetically pleasing, such as asphalt, slate, shake, cedar, or clay. This means you can have a roof that’s both beautiful and tough enough to withstand the elements. Steel is also fire resistant and virtually maintenance free. Stone-coated steel is a popular type of steel roofing. It’s incredibly strong, weather resistant, and durable. A stone-coated steel roof can withstand winds up to 120 mph. Stone-coated steel panels are installed in an interlocking pattern, which is how they can withstand extreme weather conditions and not blow off as easily as basic asphalt shingles. The overlapping pattern also creates a pocket of air that acts as an extra layer of insulation for the home. This can increase the home’s energy efficiency, making it more comfortable year-round. Stone-coated steel also reflects sunlight instead of absorbing it into the home and defends against UV radiation. 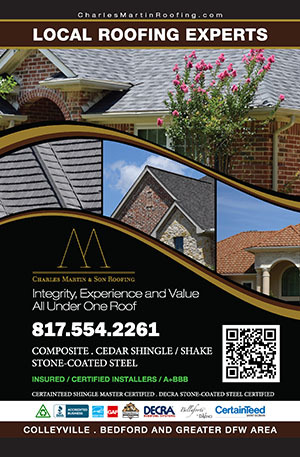 If you’d like to learn more about the advantages of Stone-Coated Steel roofing, call or email your Charles Martin Roofing consultant for a free evaluation and information booklet.